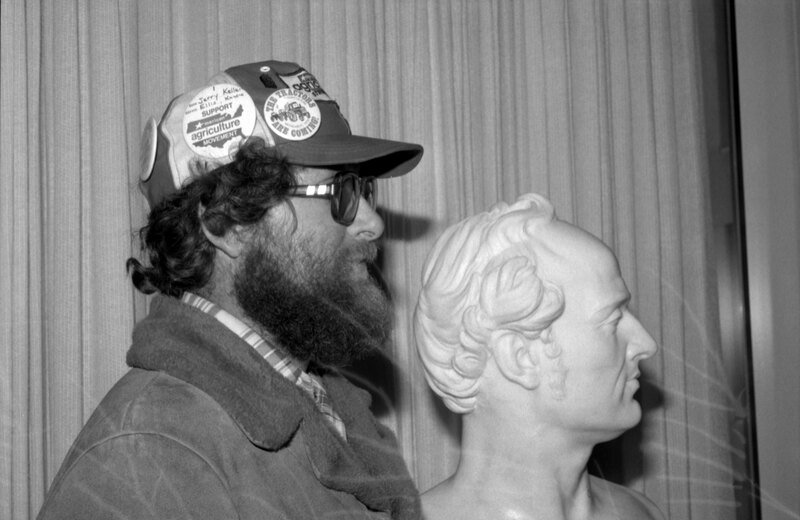 This week marks the 40th anniversary of the Tractorcade that descended on the National Mall for nearly a month in February 1979. 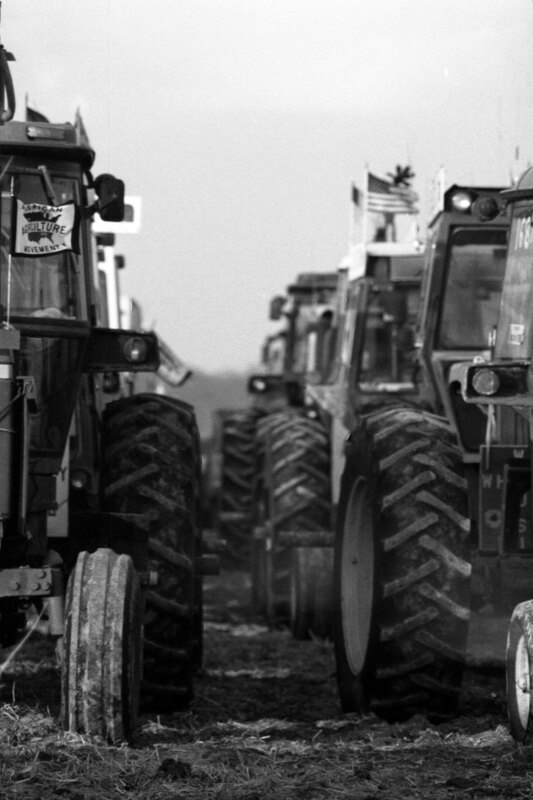 Farmers from the American Agriculture Movement (AAM) organized a tractor rally in Washington, D.C. in the hopes of driving change in agricultural policy. Thousands of farmers traveled across the U.S. in their tractors, gathering on the Mall and protesting for weeks in front of the U.S. Capitol building. 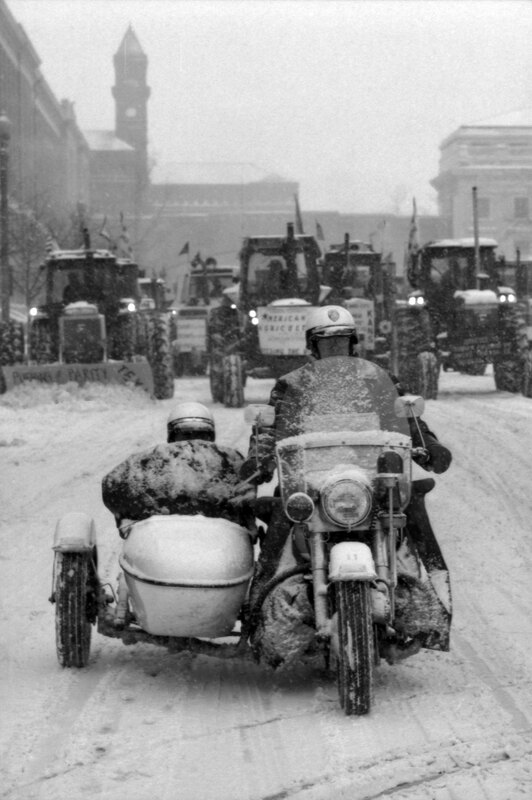 Farmers often took refuge from the cold inside federal buildings and Smithsonian museums, and when the President's Day weekend blizzard hit, the farmers put their tractors to use and helped dig the city out of two feet of snow. Smithsonian photographers documented the rally, capturing forty-seven rolls of film, roughly 1,500 frames, that have now been digitized and made available online. You can find a selection of those photographs below. Check out our 2012 blog post on the subject for more details about the 1979 Tractorcade. 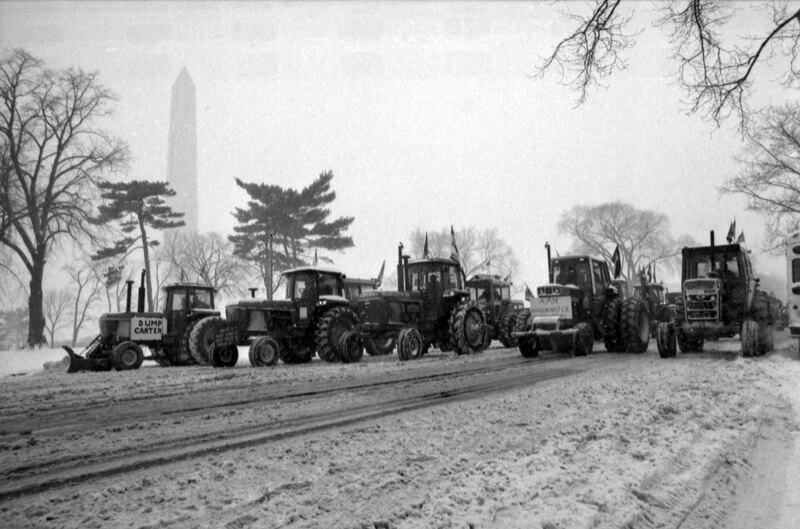 American Agriculture Movement "Tractorcade" on National Mall, February 1979, by Jeff Tinsley, SIA Acc. 11-009, 79-1684-28. 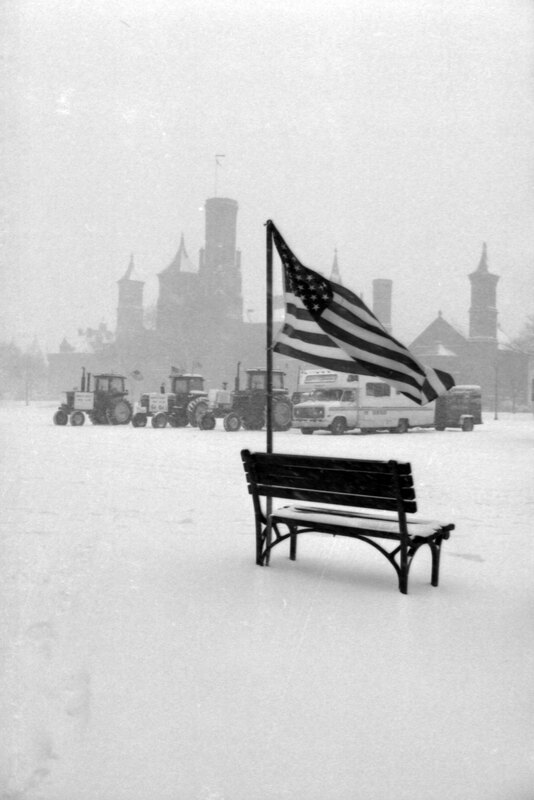 American Agriculture Movement "Tractorcade" on National Mall, with U.S. Capitol in view, February 1979, by Richard Hofmeister, SIA Acc. 11-009, 79-1675-25A. 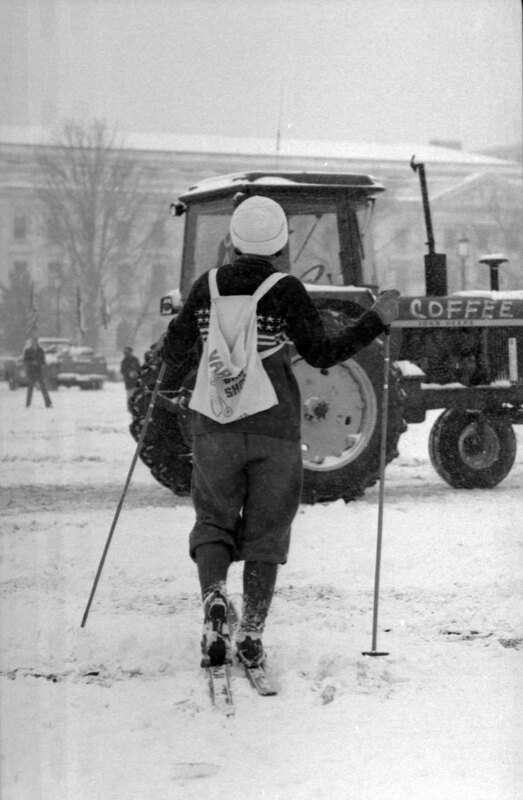 American Agriculture Movement "Tractorcade" on National Mall, with U.S. Capitol in view, February 1979, by Richard Hofmeister, SIA Acc. 11-009, 79-1675-35A. 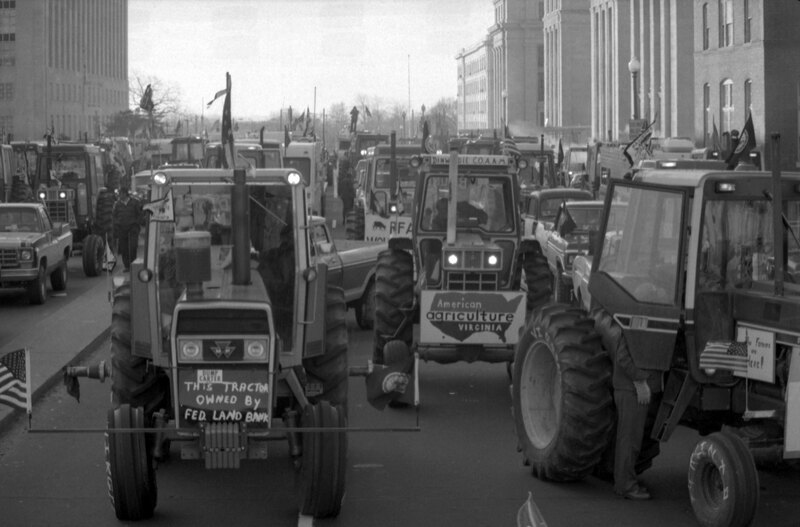 American Agriculture Movement "Tractorcade" on National Mall, February 1979, by Richard Hofmeister, SIA Acc. 11-009, 79-1676-19A. 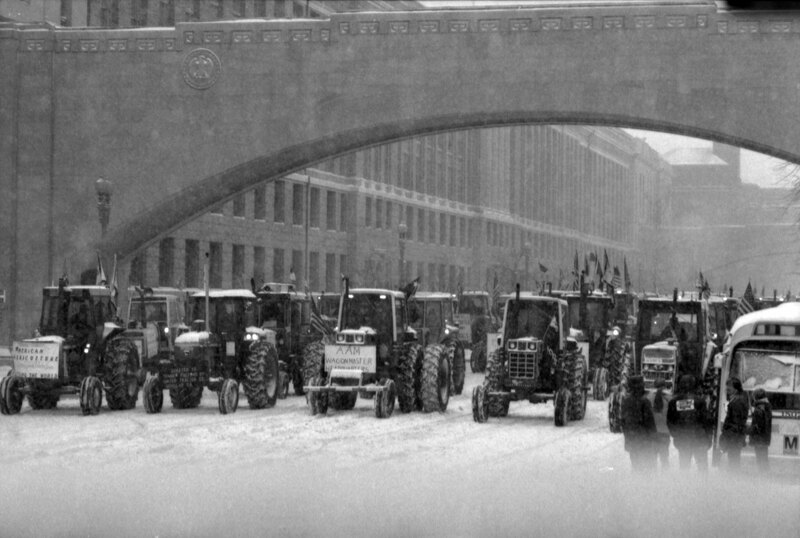 American Agriculture Movement "Tractorcade" on National Mall, February 1979, by Richard Hofmeister, SIA Acc. 11-009, 79-1676-26A. 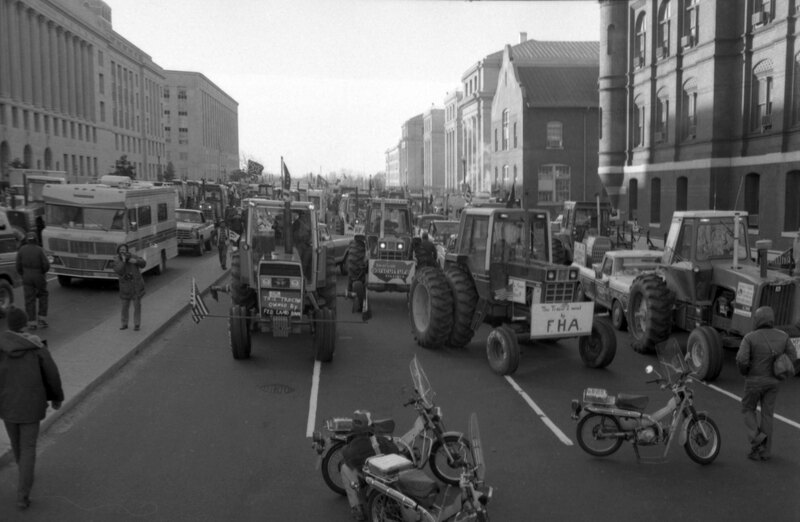 American Agriculture Movement "Tractorcade" on National Mall, February 1979, by Richard Hofmeister, SIA Acc. 11-009, 79-1676-32A. 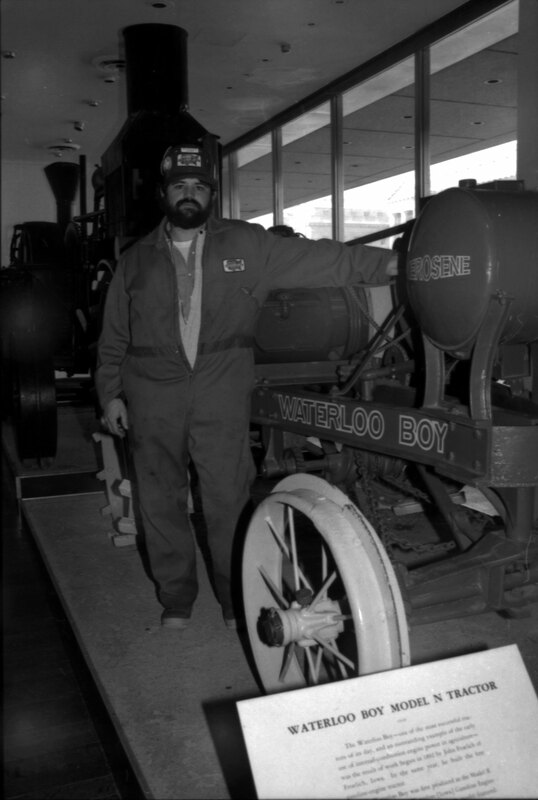 AAM farmer poses with Waterloo Boy tractor at National Museum of History and Technology during the American Agriculture Movement "Tractorcade" on National Mall, February 1979, by Richard Hofmeister, SIA Acc. 11-009, 79-1678-08. 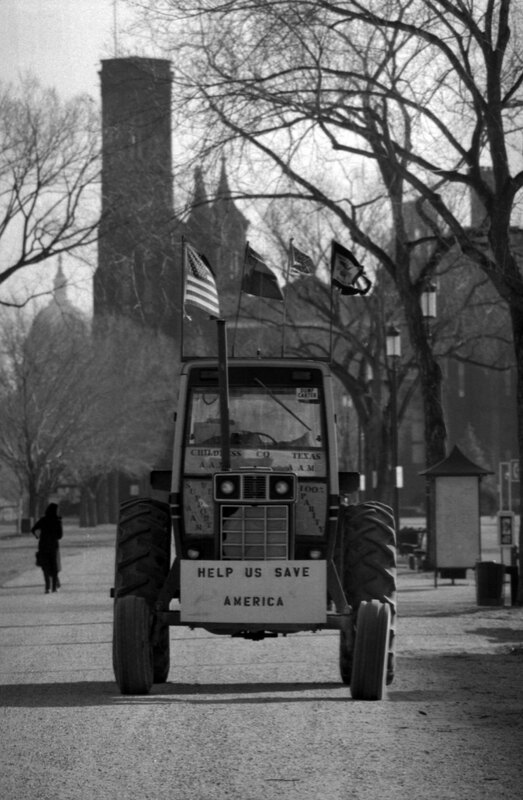 American Agriculture Movement "Tractorcade" on National Mall, February 1979, by Richard Hofmeister, SIA Acc. 11-009, 79-1680-27A. 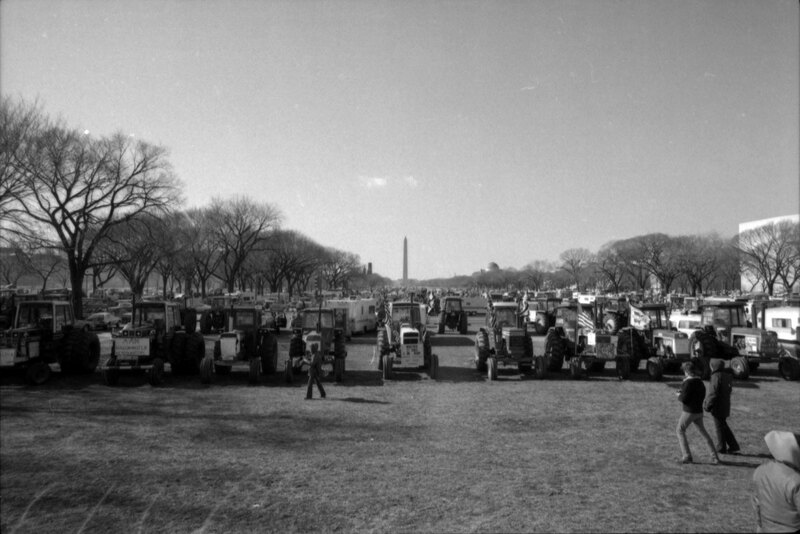 American Agriculture Movement "Tractorcade" on National Mall, with Washington Monument in view, February 1979, by Richard Hofmeister, SIA Acc. 11-009, 79-1681-15A. 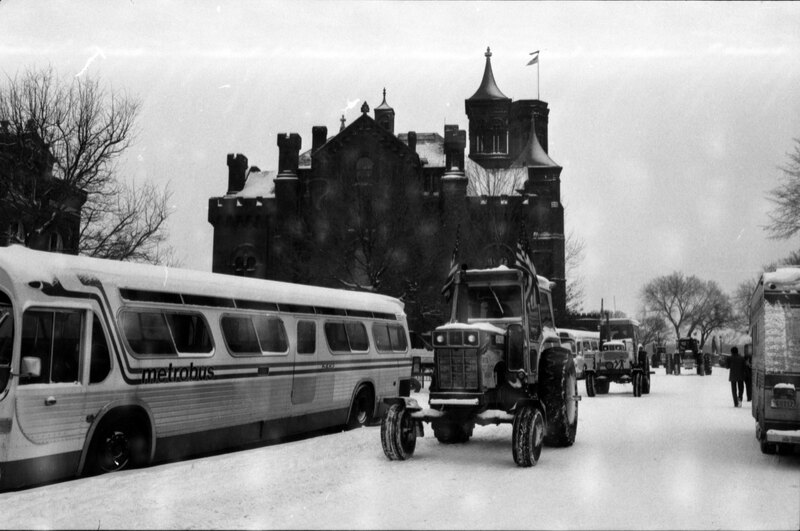 American Agriculture Movement "Tractorcade" moving from Frederick, Maryland, to Washington, D.C., February 1979, by Jeff Tinsley, SIA Acc. 11-009, 79-1685-18. American Agriculture Movement "Tractorcade" on National Mall, with Washington Monument in view, February 1979, by Jeff Tinsley, SIA Acc. 11-009, 79-1686-06. 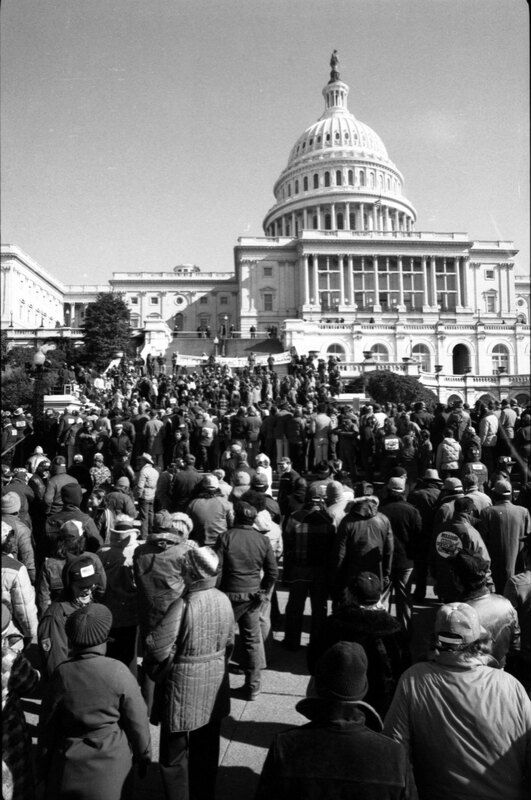 American Agriculture Movement "Tractorcade" on National Mall, with U.S. Capitol in view, February 1979, by Jeff Tinsley, SIA Acc. 11-009, 79-1686-22. 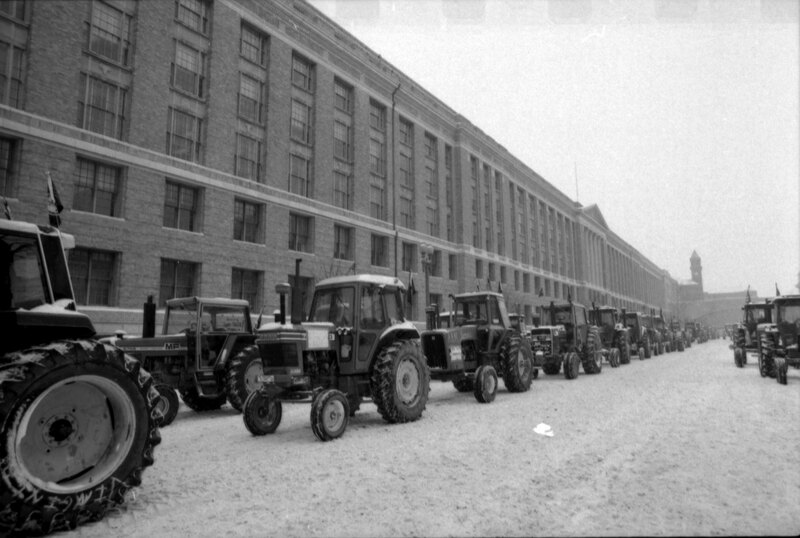 American Agriculture Movement "Tractorcade" on National Mall, February 1979, by Jeff Tinsley, SIA Acc. 11-009, 79-1687-09. 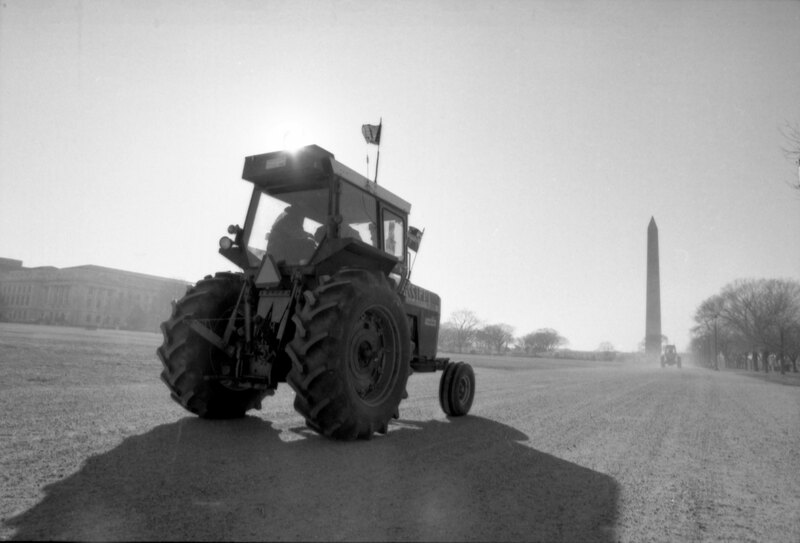 American Agriculture Movement "Tractorcade" on National Mall, with U.S. Capitol in view, February 1979, by Jeff Tinsley, SIA Acc. 11-009, 79-1687-23. 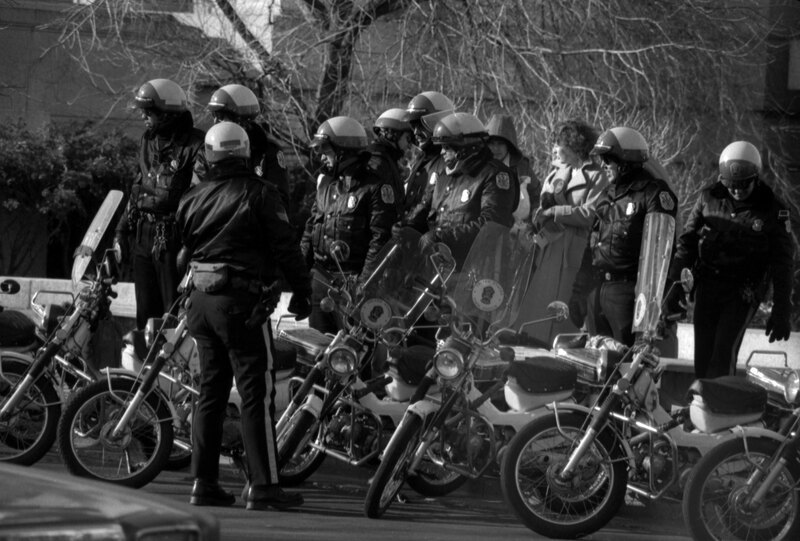 Metropolitan Police Department officers on duty during the American Agriculture Movement "Tractorcade" on National Mall, February 1979, by Jeff Tinsley, SIA Acc. 11-009, 79-1687-26. 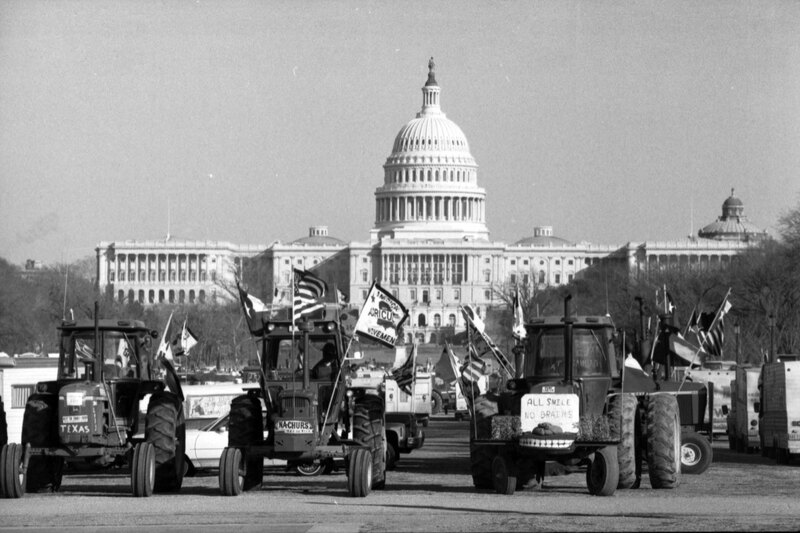 American Agriculture Movement "Tractorcade" on National Mall, with U.S. Capitol in view, February 1979, by Jeff Tinsley, SIA Acc. 11-009, 79-1688-06. 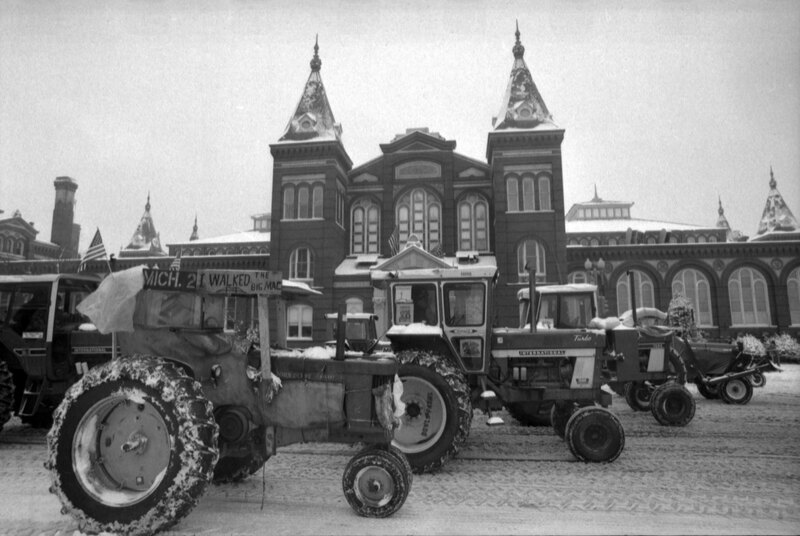 American Agriculture Movement "Tractorcade" on National Mall, with National Gallery of Art in view, February 1979, by Jeff Tinsley, SIA Acc. 11-009, 79-1688-10. 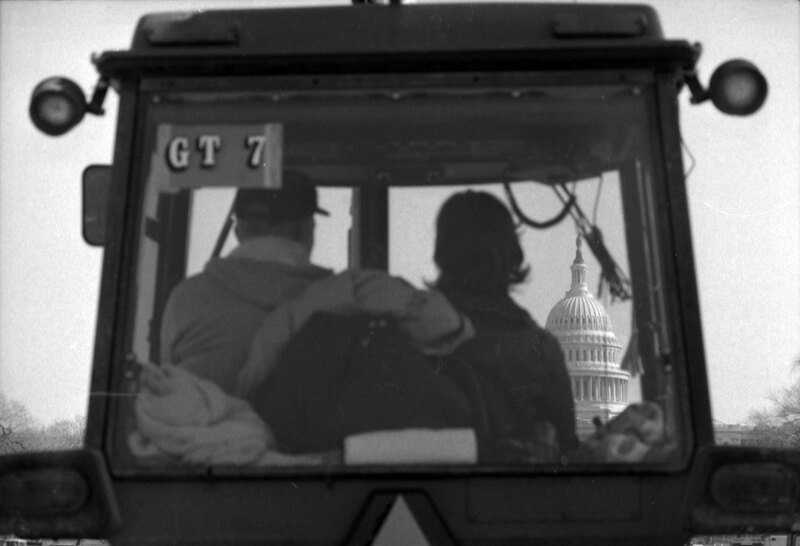 American Agriculture Movement "Tractorcade" on National Mall, with U.S. Capitol in view, February 1979, by Jeff Tinsley, SIA Acc. 11-009, 79-1688-16. 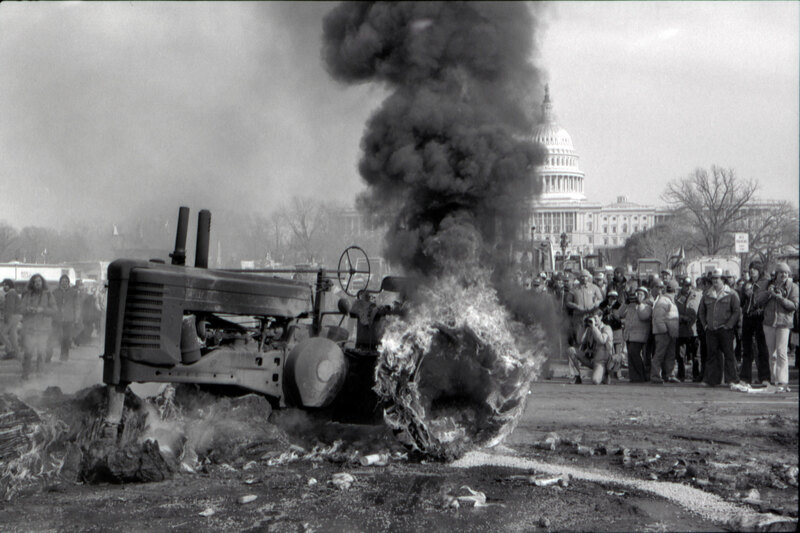 American Agriculture Movement "Tractorcade" on National Mall, February 1979, by Jeff Tinsley, SIA Acc. 11-009, 79-1689-25. American Agriculture Movement "Tractorcade" on National Mall, with Washington Monument in view, February 1979, by Jeff Tinsley, SIA Acc. 11-009, 79-1690-A03. 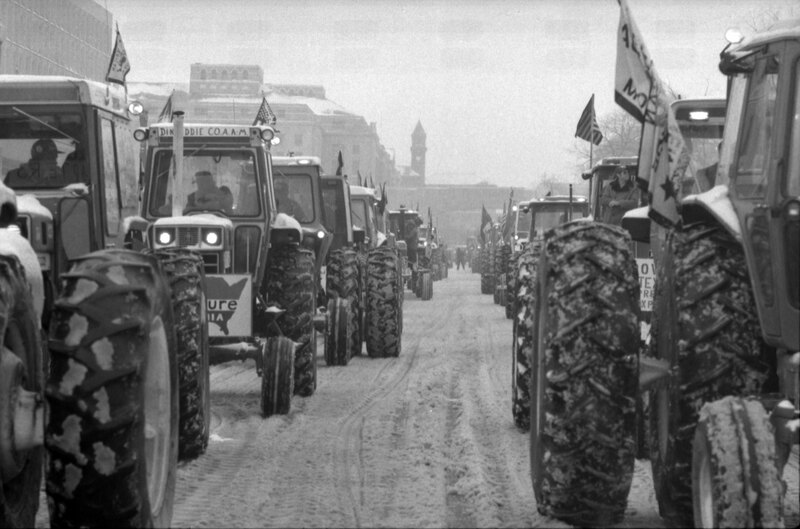 American Agriculture Movement "Tractorcade" on National Mall, February 1979, by Jeff Tinsley, SIA Acc. 11-009, 79-1691-30. 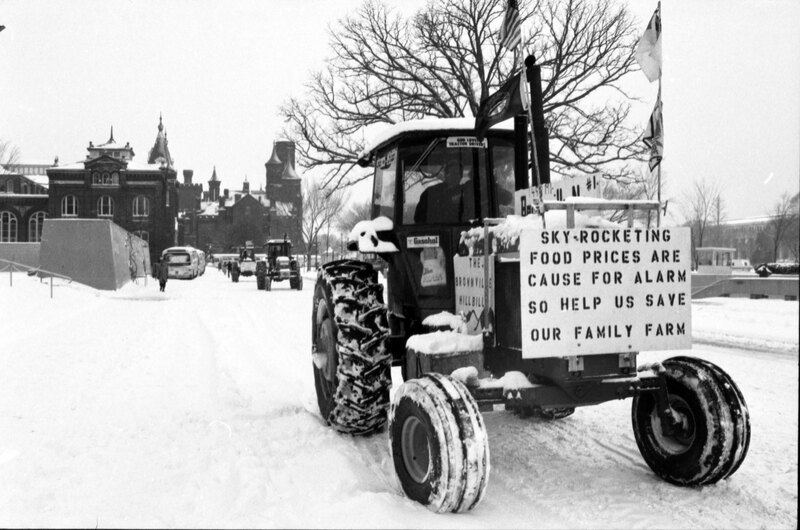 American Agriculture Movement "Tractorcade" on National Mall, February 1979, by Jeff Tinsley, SIA Acc. 11-009, 79-1692-23. 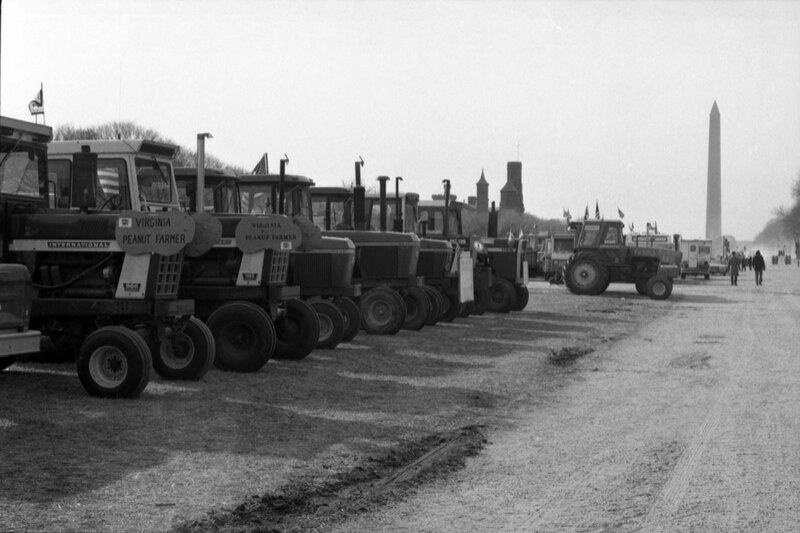 American Agriculture Movement "Tractorcade" on National Mall, February 1979, by Jeff Tinsley, SIA Acc. 11-009, 79-1692-33. 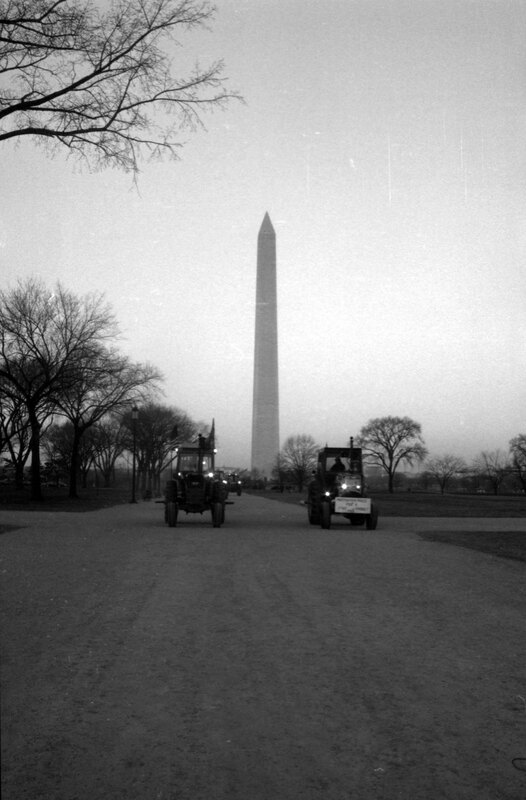 American Agriculture Movement "Tractorcade" on National Mall, with Washington Monument in view, February 1979, by Jeff Tinsley, SIA Acc. 11-009, 79-1695-36. 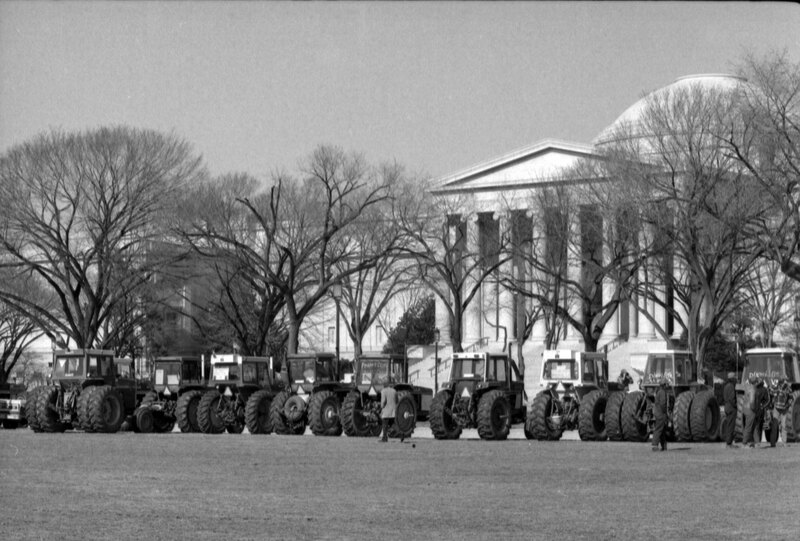 American Agriculture Movement "Tractorcade" on National Mall, February 1979, by Jeff Tinsley, SIA Acc. 11-009, 79-1697-36A. 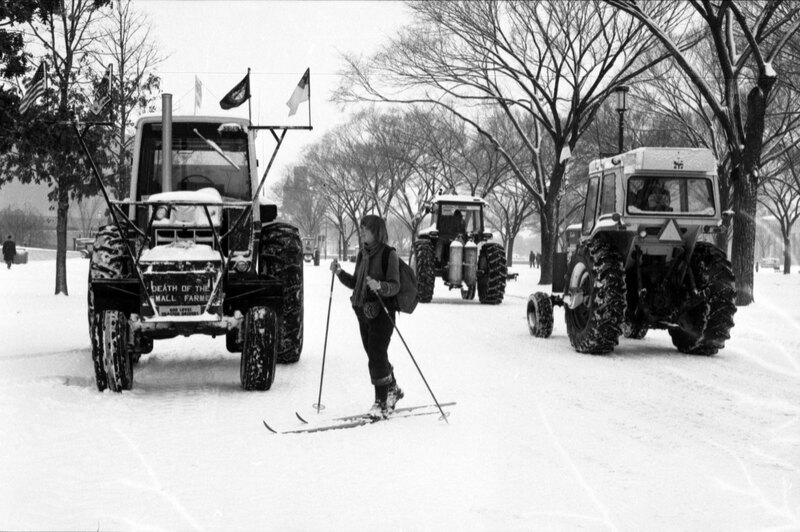 American Agriculture Movement "Tractorcade" on National Mall, February 1979, by Jeff Tinsley, SIA Acc. 11-009, 79-1698-03. 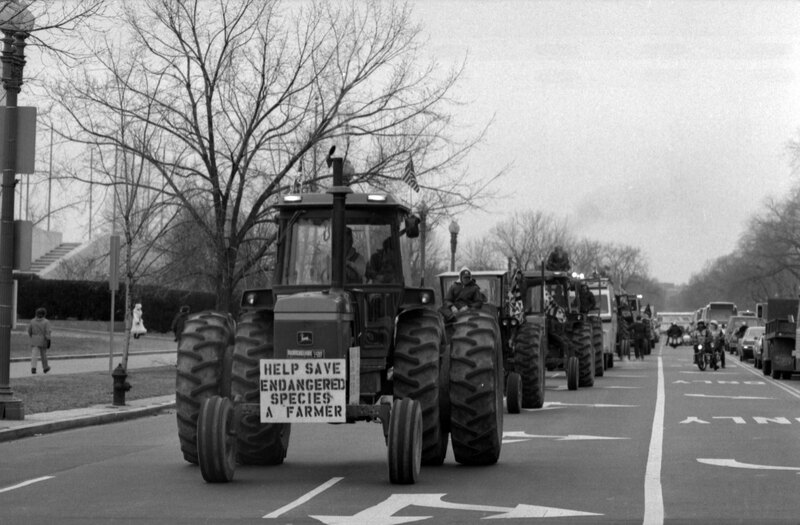 American Agriculture Movement "Tractorcade" on National Mall, February 1979, by Jeff Tinsley, SIA Acc. 11-009, 79-1698-05. 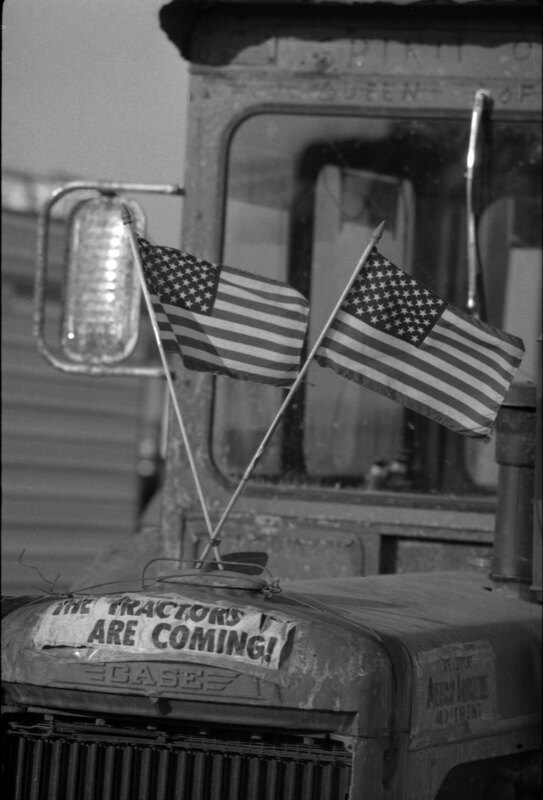 American Agriculture Movement "Tractorcade" on National Mall, February 1979, by Jeff Tinsley, SIA Acc. 11-009, 79-1699-08. 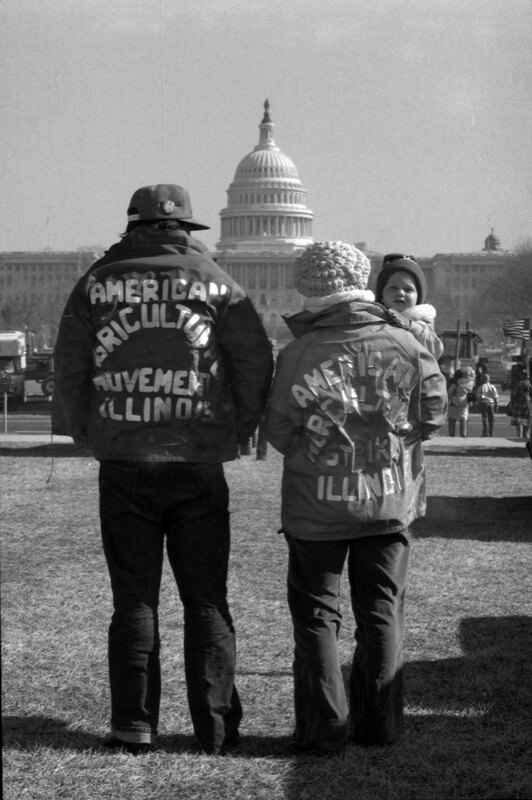 American Agriculture Movement "Tractorcade" on National Mall, February 1979, by Jeff Tinsley, SIA Acc. 11-009, 79-1700-04. 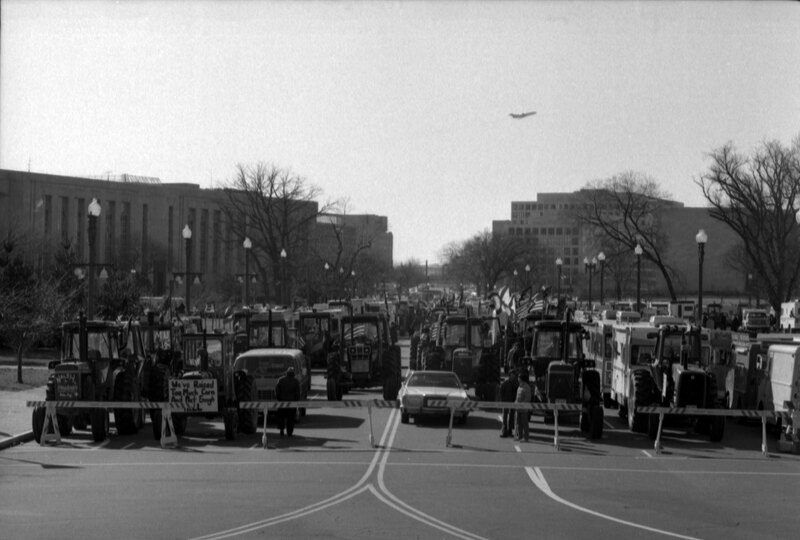 American Agriculture Movement "Tractorcade" on National Mall, February 1979, by Jeff Tinsley, SIA Acc. 11-009, 79-1701-12. 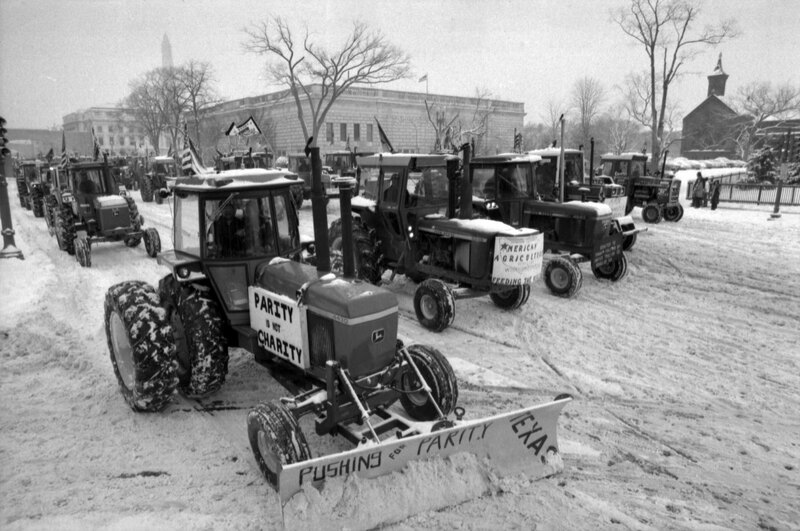 American Agriculture Movement "Tractorcade" on National Mall, February 1979, by Jeff Tinsley, SIA Acc. 11-009, 79-1701-21. 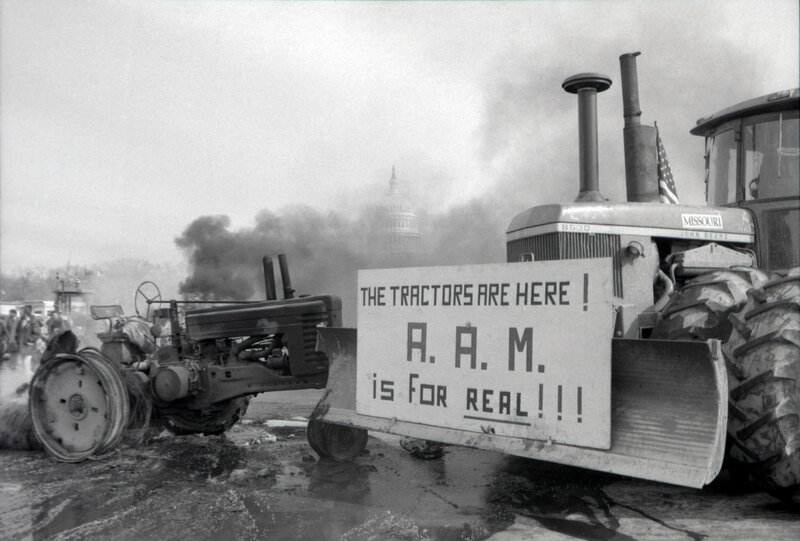 American Agriculture Movement "Tractorcade" on National Mall, February 1979, by Jeff Tinsley, SIA Acc. 11-009, 79-1703-03. American Agriculture Movement "Tractorcade" on National Mall, February 1979, by Jeff Tinsley, SIA Acc. 11-009,79-1703-31. 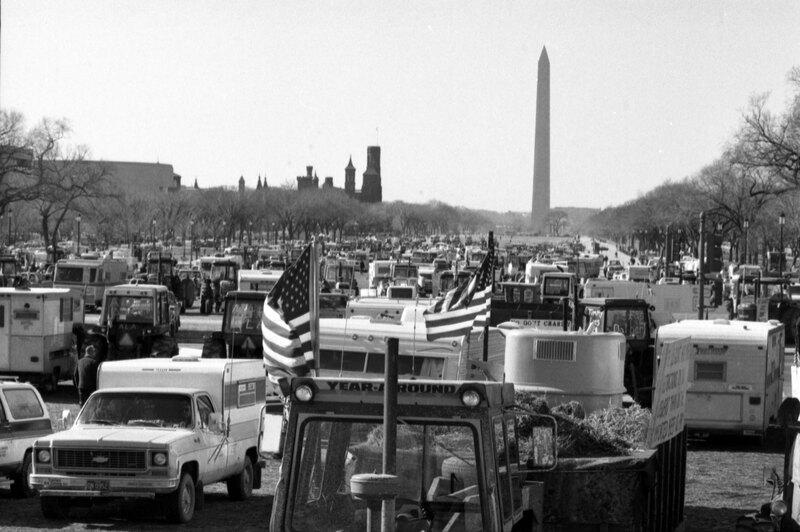 American Agriculture Movement "Tractorcade" on National Mall, February 1979, by Jeff Tinsley, SIA Acc. 11-009, 79-1705-08. 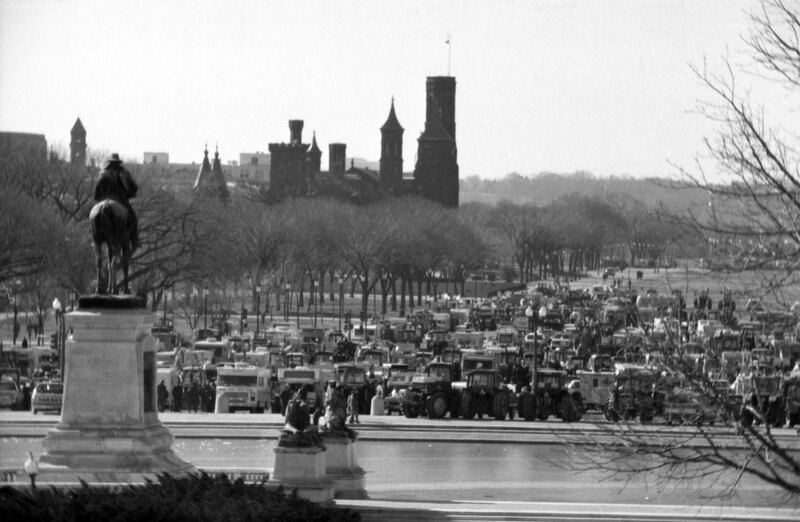 American Agriculture Movement "Tractorcade" on National Mall, with Washington Monument in view, February 1979, by John Wooten, SIA Acc. 11-009, 79-1709-23.